This serviced apartment is located on the 2nd floor in new buidling with elevator and motorbike parking place. It is fully furnished with high quality furniture. Total living area of 70 sqm, it is designed with a living room, 2 cozy bedrooms, 2 bathrooms and a well equipped kitchen. Located in Dang Thai Mai street, Tay Ho district, this cozy apartment is fully furnished with modern furnishings for your convenience. 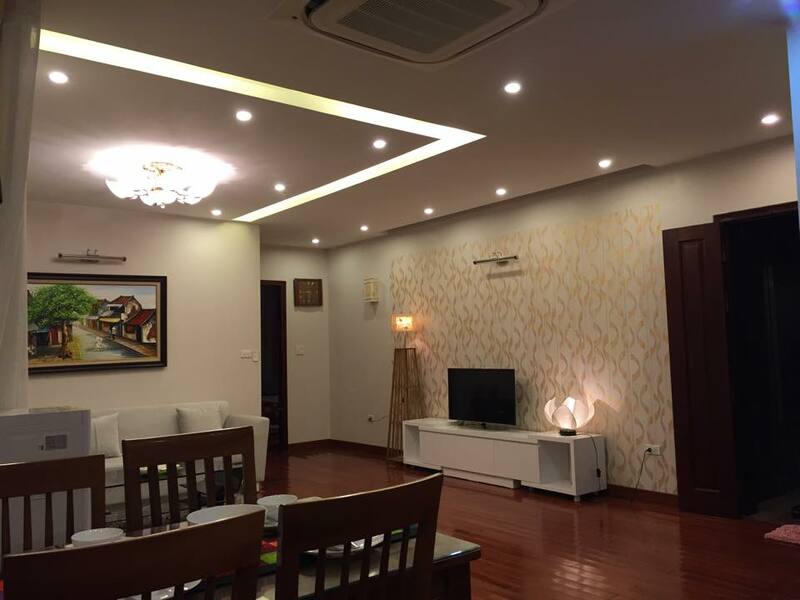 The location is very convenient, just walking distance to Xuan Dieu street and West Lake area, only 10 minutes walking to Seryna shopping center. 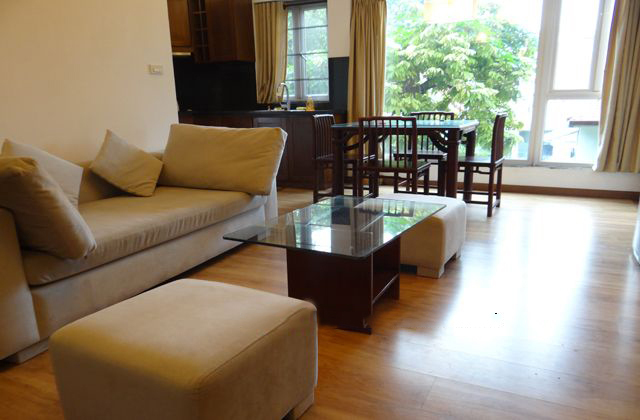 This rental 3 bedroom apartment with lake view has total living area of 200 sqm. The apartment includes a spacious living room combined with dining area. The living room includes a comfortable sofa set, big LCD TV and the balcony having the beautiful view over the lake. 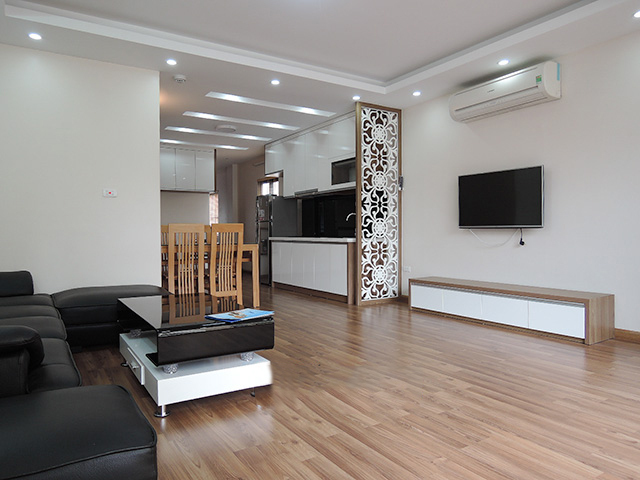 A beautiful serviced apartment for rent in Trich Sai street, Tay Ho district, Hanoi. Total living area is 140 sq.m, composed of 2 bedrooms with cozy feel, 2 modern bathrooms, a spacious living room and a well equipped kitchen. The rental apartment is fully furnished with modern and high quality furniture. Location is very convenient, walking distance to Westlake, shops, restaurant, ... It is easy access to other areas of Hanoi. Please contact me via 0936 670 899 or huong@bdsmekong.vn for more information. This 2 bedroom serviced apartment is great located on the 4th floor of the building with fantastic lake view. It is fully-furnished with high quality furniture. The apartment is composed of the spacious living room with nice sofa, modern open kitchen are well equipped with dining table and six chairs, 2 well done bedrooms with 2 bathrooms with modern fittings. Please contact me via 0936 670 899 or huong@bdsmekong.vn for more information. 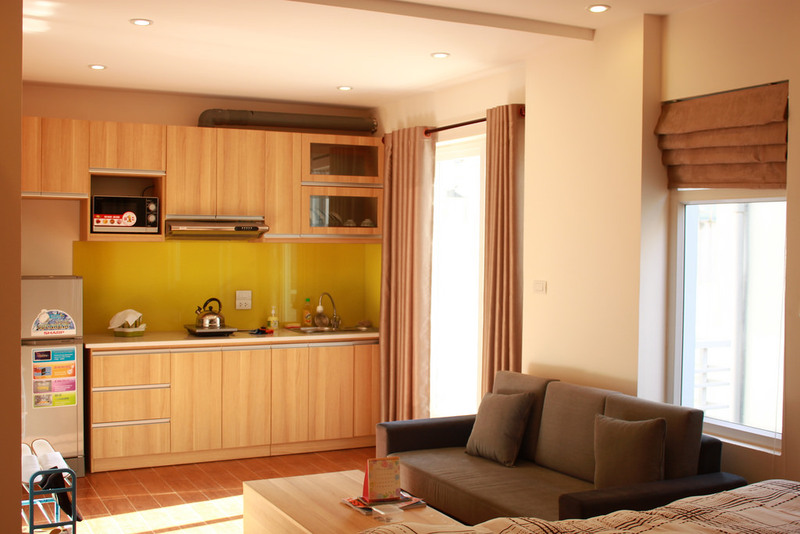 This beautiful serviced apartment is located on 3rd floor of he Building in Xom Chua – Dang Thai Ma Street, Hanoi. The apartment has total living area of 250 sqm, comprised of 4 bedrooms, 3 bathrooms. The master bedroom includes a king-size bed, large wardrobe with a modern en-suite bathroom with shower and bathtub as well. The spacious living room includes a nice sofa, LCD TV etc with floor to ceiling glass window and door and the big balcony. Total living area is 40 sqm, including 1 bedroom with bed combined with dinning area, an open kitchen, and 1 bathroom. The apartment is located on high floor, full of natural light. Location is very convenient, easy transportation, close to restaurants, bars, shops, cafes.... Price: $380/month. Please contact me via 0936 670 899 or huong@bdsmekong.vn for more information. 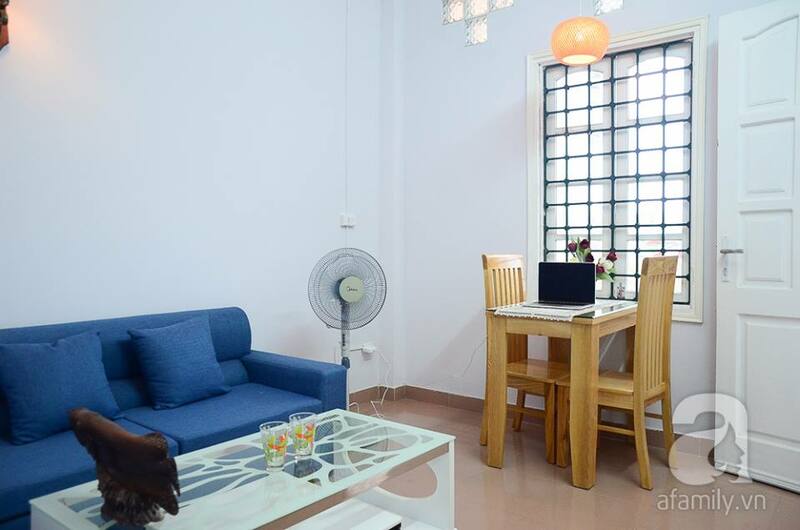 This serviced apartment is located in a quiet alley of Vong Thi street, Tay Ho district. Total living area is 55 sqm, composed of a bright living room combined with dinning area, a cozy bedroom, a bathroom and an open kitchen. This is a big balcony from the living room where you can drink coffee and relax. Please contact me via 0936 670 899 or huong@bdsmekong.vn for more information.